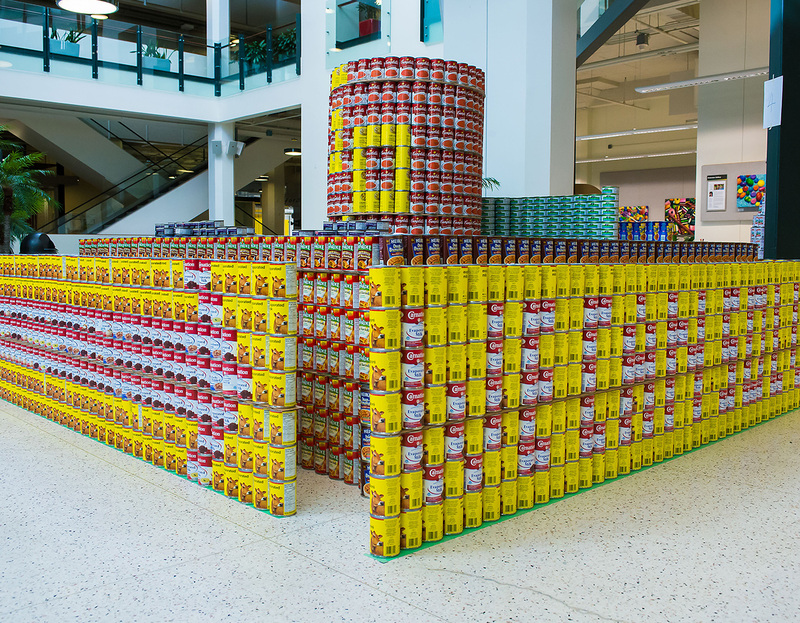 EPCOR and its employees are aware of the problem of hunger in our City, and each year the EPCOR Canstruction Team rallies our employees to donate cans of food in an effort to help solve this problem. 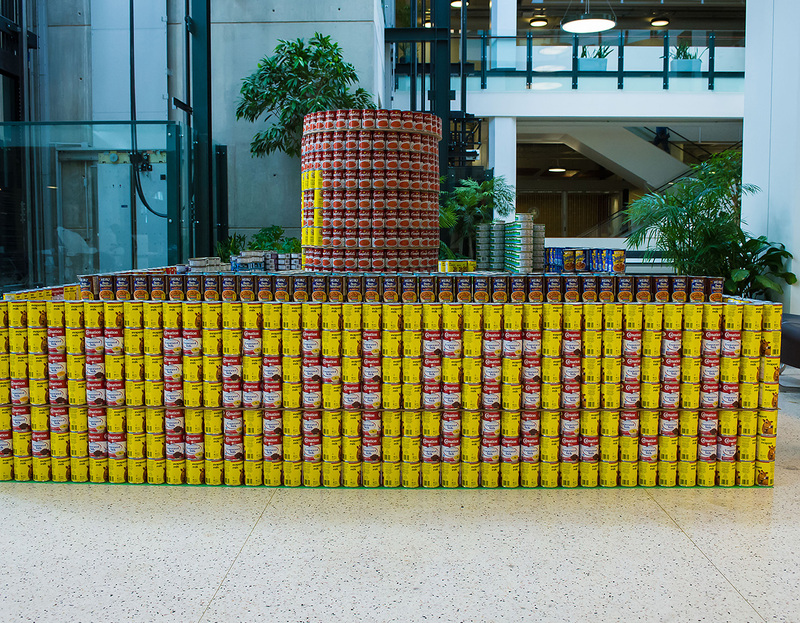 This year our theme is “We Can Solve the Puzzle of Hunger” and once again EPCOR’s employees have responded by generously donating thousands of cans of food. 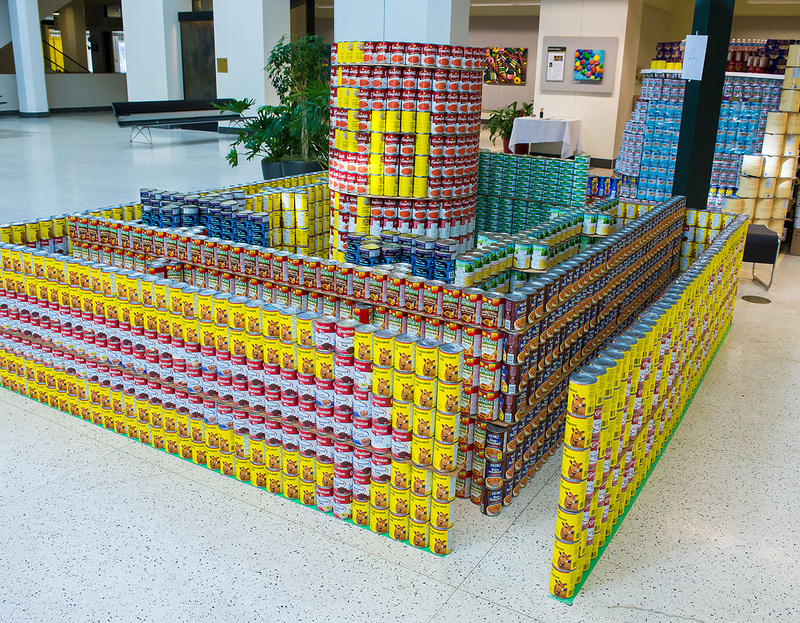 Our sculpture is a 3-dimensional labyrinth puzzle, with a large can of soup at the center of the puzzle. 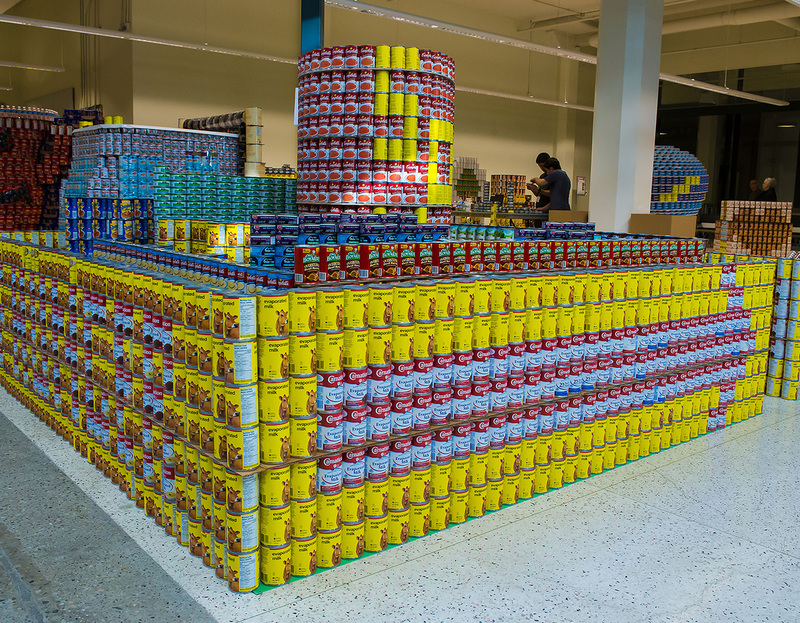 A wide variety of food types are used where each wall of the labyrinth is made up of a different type of food. 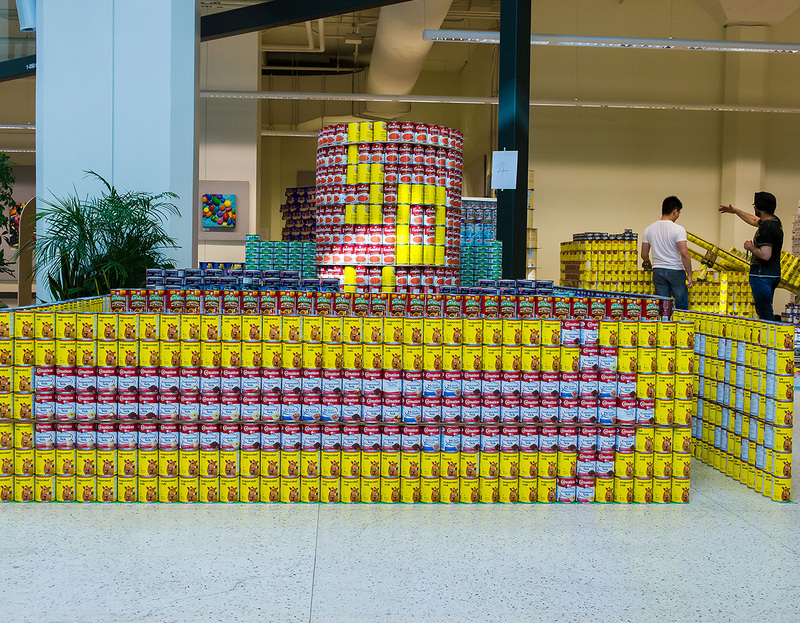 The title of the sculpture is contained within the outer labyrinth walls. Amanda LeNeve, Amy Peace, Ayan Abdille, Brent Bedard, Debra Marston, Denise Sanchez-Rosales, Ed Chorney, Gigi Suelo, Gillian Adams, Henry Skrundz,Josie Letwin,Joyce Yamsuan, Keith Whale, Kirstine Hull, Lance Barker, Larry Weidman, Lindsey Elliott, Noorani Ismail, Pam Chung, Patricia Thatchuk, Selene Dykes, Stephanie Thorne, Silvana Fazio, Trish Sturton, Vanessa Volk, and a very special thanks to AMJ Campbell Van Lines for helping us with can collection!